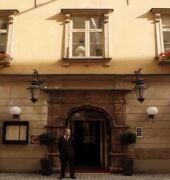 The hotel is Situated in Stockholm%u2019s picturesque Old Town, Collector's Victory Hotel is 2 minutes walk from Gamla Stan Metro Station. Its uniquely decorated rooms have a flat-screen TV and heated bathroom floors. Inspired by its own maritime antique collection, the rooms at Collector%u2019s Victory Hotel feature a naval theme. Each has a stereo as well as guest bathrobes. Free Wi-Fi is available throughout the hotel. The hotel%u2019s Whole Beast restaurant serves an organic all-meat menu, with a different animal served every week. The Pubologi bar mixes fine dining with quality beer and wine. Leisure options at Collector%u2019s Victory include a sauna and a plunge pool.